Something happened today at a birthday party that I've never seen him do before, and it reminded me what it's like to be a kid. Him and his little buddies were chasing each other around the hall, and everyone was having a blast. Boys being boys, rugby tackling each other and saying, "I'm gonna get you." With his third birthday fast approaching I was wondering if it would be weird with it being held in a school sports hall. It had been a struggle to find the right venue. It never occurred to me until today but now I understand. 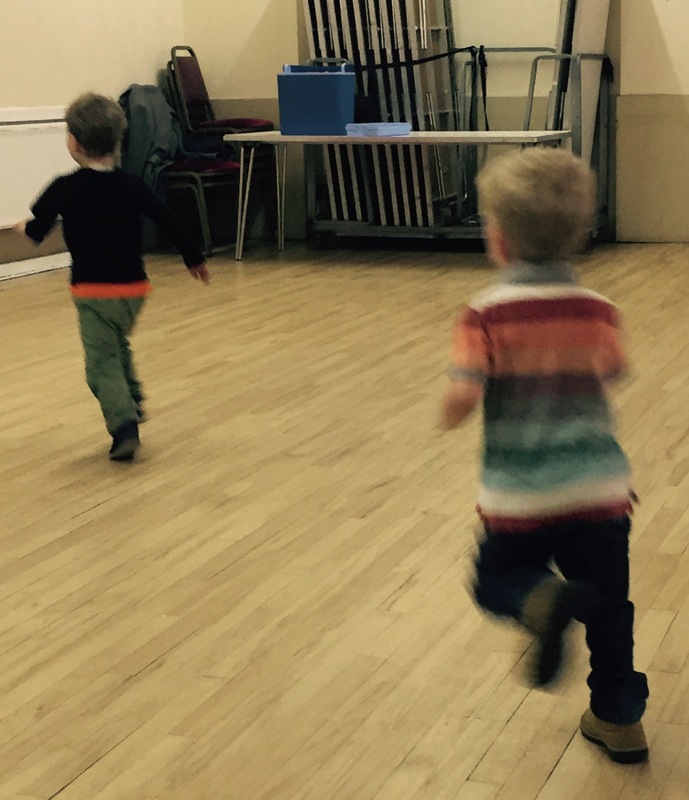 A sports hall is an amazing place to hold a birthday party for toddlers. For the children who come along, it might just be the biggest room they've ever been in. I'll have to make sure I play my Pied Piper role to perfection. Speaking of sports halls, I saw these amazing reclaimed floorboards at the new Lounge Bar we visited in Keynsham. I doubt they make them like these any more. It was a day full of weird little moments like this that made me feel nostalgic for my own childhood. That day, we put a question to him. "What do we do that makes you happy?" I was interested to hear what he'd say when we asked him what he does to make us happy. "I put my clothes back in the drawers when I've taken them all out." "And I make you laugh!" "Yes! You do make us laugh!" We said. "...And when I do a hot one you laugh." He added. Guilty as charged. That's his slang for poo. He's a charmer, that one.